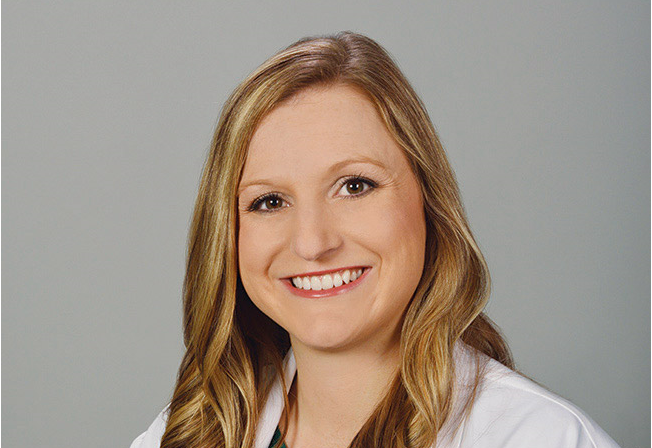 Missy Abramovitz, physician assistant at CoxHealth, has been nationally recognized for earning a specialty credential called a Certificate of Added Qualifications (CAQ) from the National Commission on Certification of Physician Assistants (NCCPA). Abramovitz was recognized for earning a CAQ in Hospital Medicine, a distinction earned by meeting licensure, education and experience requirements and then passing a national exam in the specialty. She recently completed a two-year term as the first PA elected to the Cox South Medical Executive Committee and is a current member of the Cox Medical Group Nonphysician-Provider Advisory Committee. Abramovitz carries more than seven years of experience in her specialty, and is an 11-year veteran of the health care system. CAQs are offered to certified PAs in seven specialties: cardiovascular and thoracic surgery, emergency medicine, hospital medicine, orthopaedic surgery, nephrology, pediatrics and psychiatry.